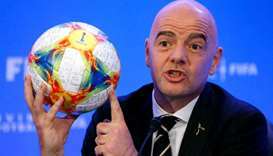 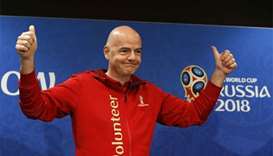 Gianni Infantino said preconceived notions of the country had been changed by the positive experiences of more than one million fans who had visited. 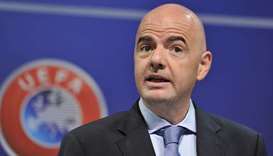 Gianni Infantino, who said it was premature to discuss the issue at the FIFA congress in Moscow on Wednesday, did not give a clear timeline on when a decision would be made. 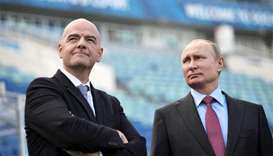 Gianni Infantino met Vladimir Putin in the Black Sea resort of Sochi as Russia races against the clock to put the finishing touches on preparations for the June 14-July 15 final. 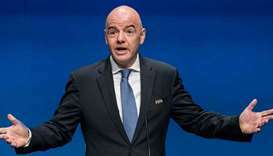 FIFA President Gianni Infantino has not had any second thoughts about using video assistant referees (VAR) at this year's World Cup, he told Reuters on Monday, despite recent controversies involving the new technology. 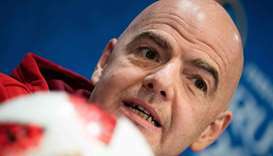 Gianni Infantino said that the 2022 FIFA World Cup will be held in Qatar four years later, and there is no disagreement in this matter at all. 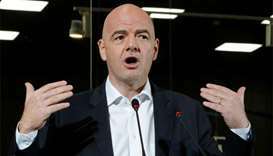 FIFA president Gianni Infantino sees no need for a re-vote for the 2022 World Cup and had a dig at those who can’t seem to stop criticising Qatar and Russia. 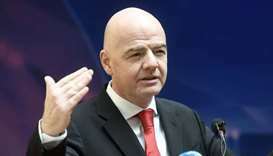 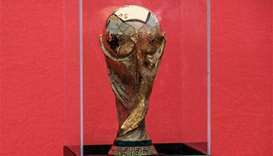 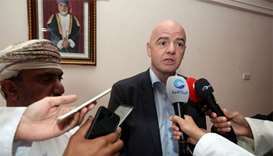 FIFA president Gianni Infantino does not believe that the diplomatic crisis which has embroiled 2022 World Cup host nation Qatar will threaten its staging of the tournament, he said on Sunday. 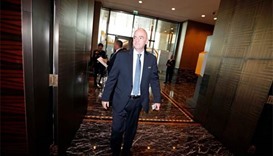 FIFA president Gianni Infantino claimed on Monday that the finances of football's governing body were "extremely solid", despite it posting a $369mn loss earlier this year.